September 2012 marks the start of British Trust for Ornithology winter thrush survey. Over the next two winters the BTO is asking volunteers across the UK to record where and when they see any of the six species of thrush found in the UK on migration and over the winter. Blackbird, Song Thrush and Mistle Thrush have largely sedentary populations in the UK but populations of all three are heavily augmented each winter by huge numbers of immigrants from Scandinavia and continental Europe. 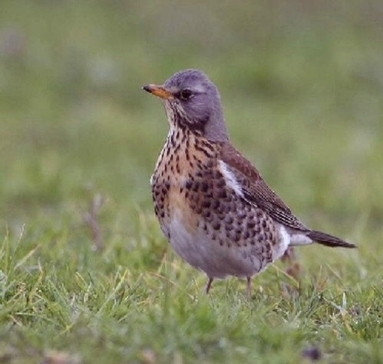 Add to these the massive winter influx of Fieldfare and Redwing from Scandinavia and Iceland and there seems to be something that these birds find to their liking in the British countryside in winter. On Arran in the first part of the winter hedges with berries like hawthorn seem to be attractive to these birds and then later arable fields with lots of invertebrates seem to be favoured. The point of the survey is to find out more. 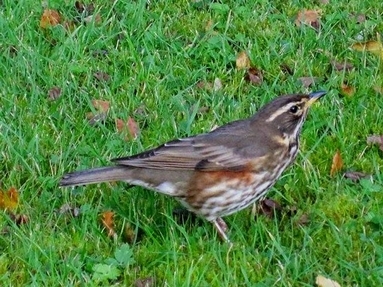 How does thrushes' use of various habitats, including gardens, vary, by species, geographically and through the winter? How do feeding behaviours vary, again by species, geographically and through the winter? What is the relative importance overall of key habitats such as farmland, gardens and orchards and of the various feeding resources? These are some of the questions the survey hopes to address. It should be an easy and enjoyable survey operating through the BTO website. Full methodology will be available when the online survey module is launched on 12 September. Observers will be invited to set up routes, based loosely on 1-km squares, for repeated winter walks. Locations of all thrushes observed, with their habitat and activity will be recordable online on a map of the survey route. Walks can be made at any time from mid September to mid April.